One of the Best Yutanpo you can Buy! 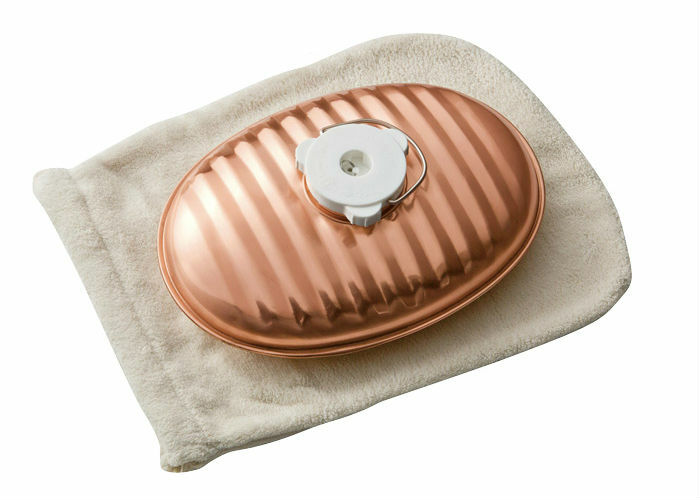 Over the years, Maruka have perfected the design of their "yutanpo", or hot water bottles, making it the most popular brand in Japan. The pure copper construction heats quickly and releases heat gently, preventing dry skin, and also does not rust. 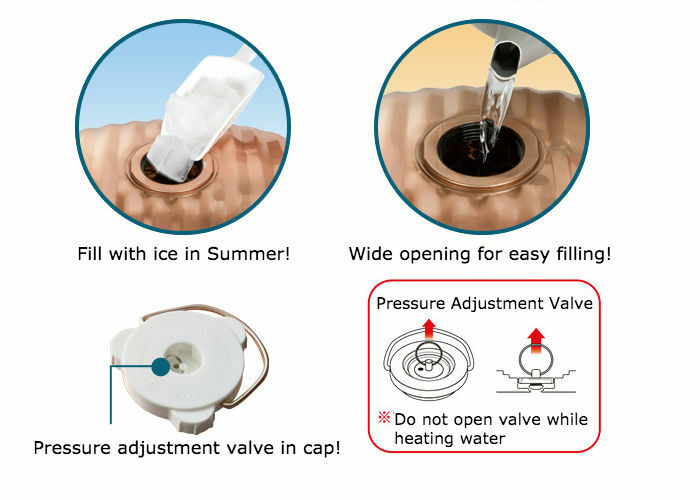 The flat base allows for easy filling with hot water. Compact 2.2L capacity. Cover and spare rubber seal included. Made in Japan by Maruka.